Secure and detach your dog from the Jump Pak in less than 1 minute for rapid deployment. Only compatible with K9 Storm Vests. What Options are Needed on my K9 Storm Vest? 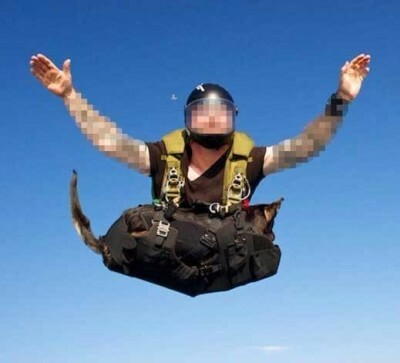 New to skydiving and need to practice before jumping with your ACTUAL dog? K9 Storm is proud to introduce our favorite twins, Halo and Haho, the K9 Storm Dummy Dogs! Emulating the weight and size of a 70 lbs. 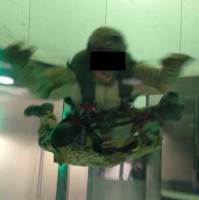 malanois, learn to free fall using the Dummy Dog and get used to the added weight and change in your flight path. Perfect for training in wind tunnels or actual jumps. Halo = Already own a K9 Storm Vest? Halo is the Dummy Dog ONLY. 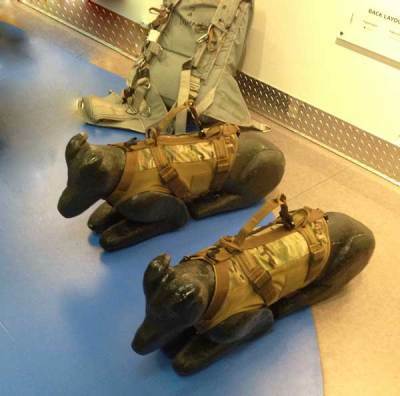 Haho = Do you need a K9 Storm Vest and a Dummy Dog? Haho is BOTH the Dummy Dog and a K9 Storm Vest for training. 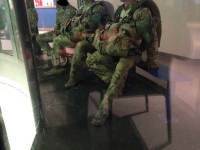 What is Needed to train with the K9 Storm Dummy Dog? 2. K9 Storm Jump Pak.